As soap ages, a fine, white powder may appear on the surface. This is soda ash (sodium carbonate) formed by a reaction of lye with carbon dioxide in air. This white powder is mostly on the surface exposed to air while the soap was in the moulds. 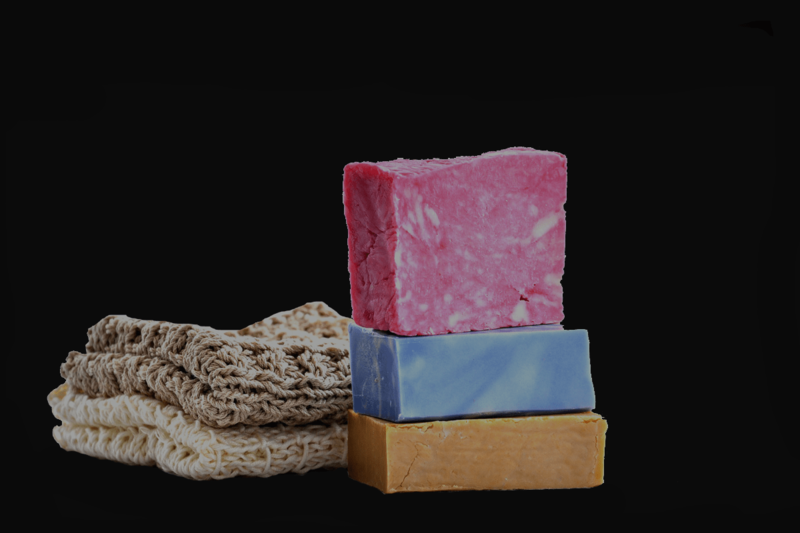 Soap that contains wax develops little or no soda ash. Try to prevent it: Immediately after pouring soap into moulds, cover the soap with plastic wrap or waxed paper. Press the wrap or paper onto the surface of the soap to prevent air contact. Cut it away: Overfill the moulds slightly. Later, when the soap hardens, take a knife and cut the soap level with the mould. This also cuts away the soda ash. Wash it away: Wait until the soap ages and hardens. Wash the powder away by rubbing the soap with your hands under running water or by rubbing the soap over a wet dishcloth. Set the soap aside to dry then enjoy your soap!